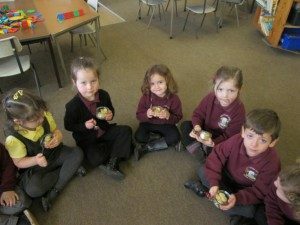 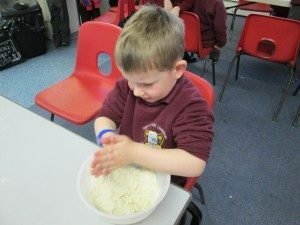 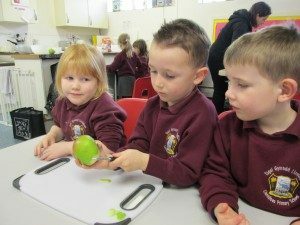 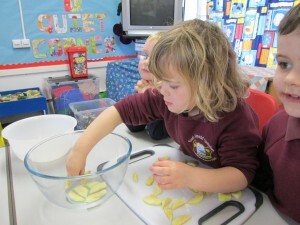 We have been making Gruffalo Crumble. 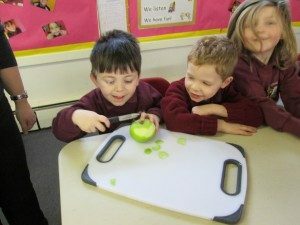 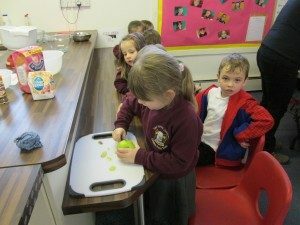 First, we peeled the apples. 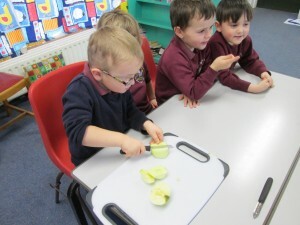 Then we cut them up. 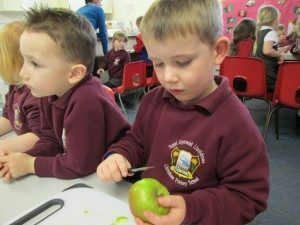 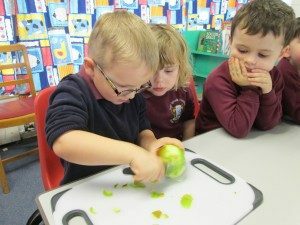 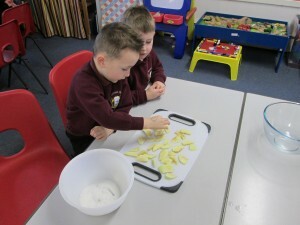 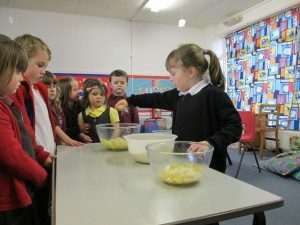 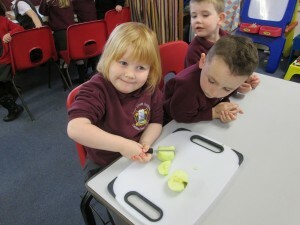 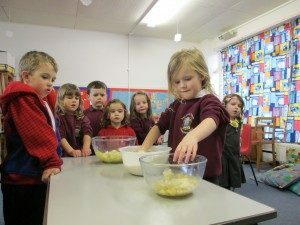 Next we sprinkled sugar onto the apple slices and carefully arranged them in the bottom of a bowl. 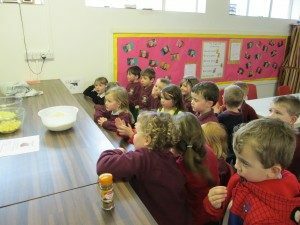 We added ‘Essence of Gruffalo’ (Cinnamon), and made the crumbly topping. 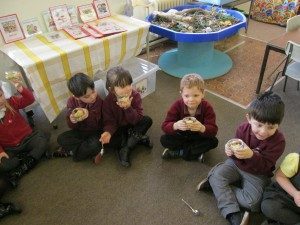 Finally, we tasted our Gruffalo Crumble. 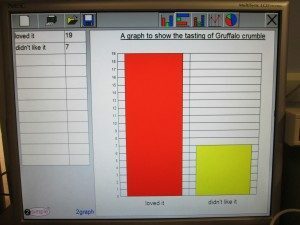 Some of us made a graph to show the results. 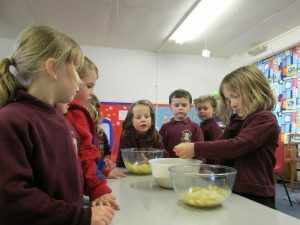 Most of us loved the Gruffalo Crumble.